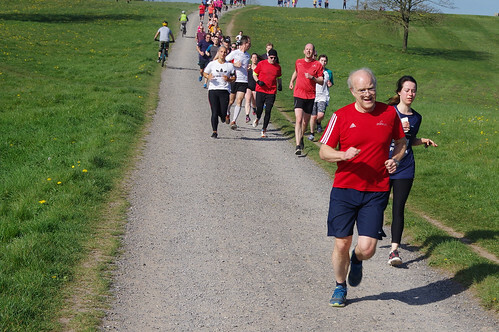 Easter Saturday was a lovely day for a parkrun, an Easter EGGS-cellent day you might say! 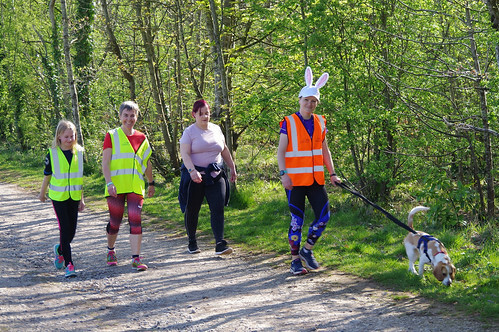 Certainly the 578 participants we recorded completing our course thought so, all ably assisted by our team of 31 Easter EGGS-ceptional volunteers, some of whom managed to both run the course and help. Among the runners we had a total of five Al-EGGS-‘s and Al-EGGS-andra‘s. Alex Williams and Alexandra Warrington have run up our hill before and know all about the EGGS-ertion needed to get to the top, while Alex Morales, Alexandra Bell and Alexandra Bright were running at Ashton Court for the first time, visiting us from Catford, Willoughby (in Sydney) and Chipping Sodbury respectively. 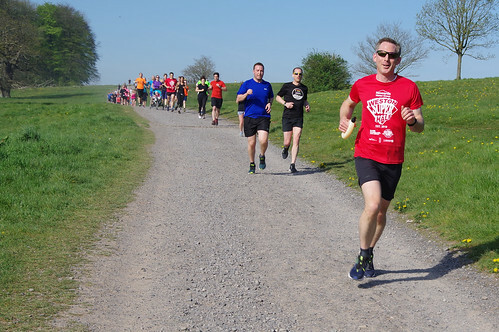 In fact, we had 83 runners visiting Ashton Court for the first time, including many that had come an EGGS-tremely long way, including overseas visitors from Sydney and Dublin, and others from Ess-EGGS, Suss-EGGS, Middles-EGGS and Wess-EGGS. 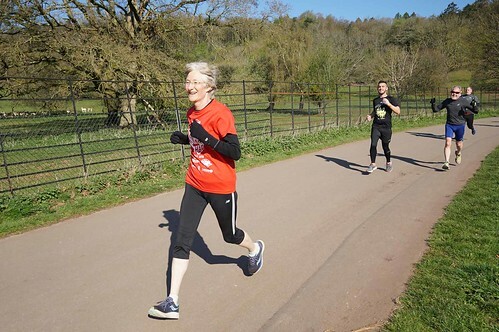 Notable among them is Emma Mackay from Bromley who choose to run her 50th parkrun at Ashton Court and now qualifies for the red milestone T-shirt, and Gareth Jenkins who had run 287 parkruns at 55 different event venues before coming to Ashton Court for the first time on Saturday. Meanwhile at the other EGGS-treme, the Ashton Court parkrun community EGGS-panded as we welcomed many new parkrunners to Ashton Court on Easter Saturday for their first parkrun ever. Gavin Dale was the fastest of these and third to cross the finish line in the EGGS-emplary time of 17:56. 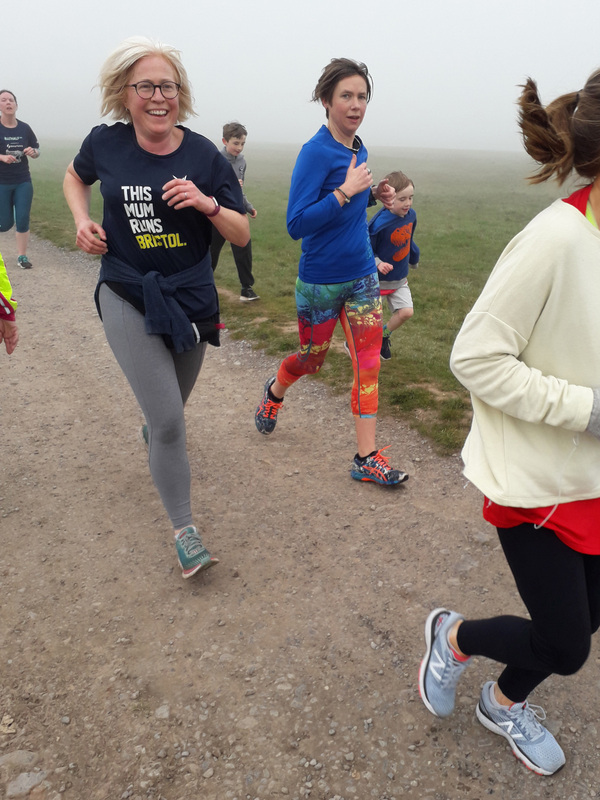 But parkrun is not about speed, rather it’s the enjoyment of running with friends and so we are just as EGGS-cited to welcome Charlene Williams on her first run here in a slightly slower time than Gavin’s, along with the other 30 new parkrunners who finished between them. We hope all our visitors enjoyed the EGGS-quisite views over Bristol on this lovely sunny day and will come back and run with us again soon. 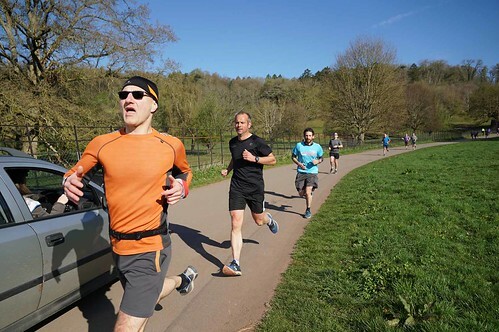 We also cheered in EGGS-uberance for landmark runs by more frequent Ashton Court parkrunners. Mark Watts completed his 50th parkrun to qualify for a red landmark T-shirt, Robert Brown completed his 100th parkrun in a time just a few seconds shy of his PB and qualifies for a black T-shirt, Lousie Neal-Hopes and Steve Cotterill who both ran their 200th parkrun, and Charles McDowall ran his 250th parkrun and qualifies for the green T-shirt – the 32th Ashton Court parkrunner to do so. 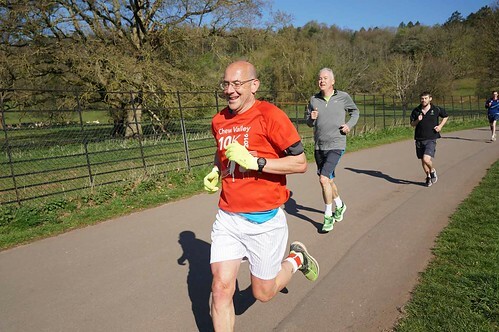 We had 95 parkrunners who were so EGGS-peditious that they set new PBs, including David Eagon who was first across the finish line and 35 seconds faster than ever before on his 10th run here, and Caroline Lavis who had a 56 second improvement on her third run here and set a new Ashton Court age-graded record of 89.21%. 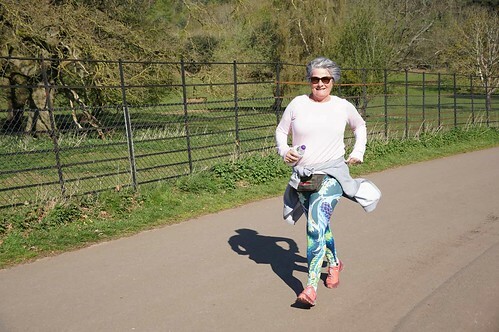 Not only that but Caroline became the first VW70-74 female to beat 26 minutes here at Ashton Court, and in doing so she regained this particular age category record which she’d lost to Anne Dockery in May last year. With 92 different pbs to choose from it would be unfair to single any others out for praise. However, it helped if your first name began with the letter M or S, as 13 pbs were achieved by parkrunners whose names did just that, and it also helped if your family name began with S, as again, 13 pbs were gained by people with surnames beginning with that letter. So step forward Sarah Stoyle, Michael Shah, Matthew Skuce, Maryam Saleem and Michael Shepperd, who all achieved pbs. 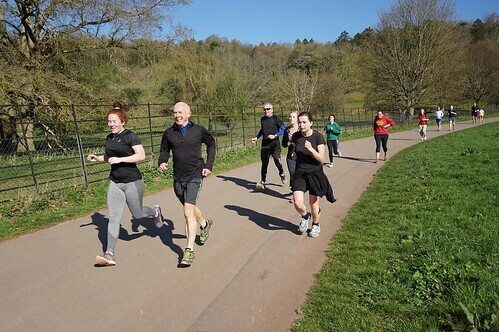 Sarah was 27 seconds quicker, Michael Shah 6 seconds quicker, Matthew 31 seconds, Maryam 66 seconds and Michael Sheppard 72 seconds faster than ever before at our lovely Ashton Court. Many thanks to the fabulous team of volunteers who made this week's event happen. 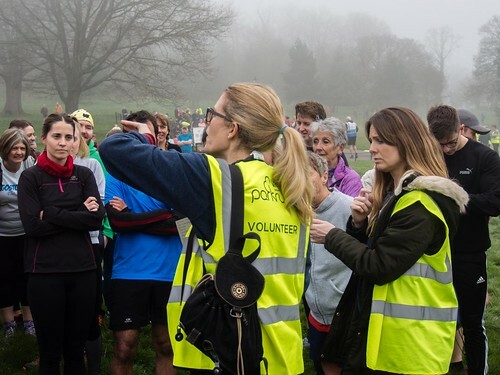 Although our parkrun has a great crowd of enthusiastic volunteers we're always looking out for more people to join the team and spread the load, and if you'd like to sign up as a volunteer, we'd love to have you. Please opt in to receive volunteer emails (via "manage my profile" on any result or newsletter email) and contact AshtonCourtHelpers@parkrun.com to offer help. 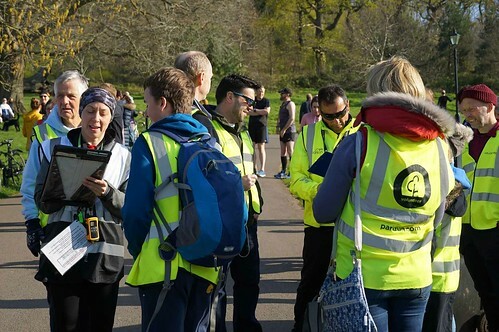 Don't forget to follow us on these news pages, on Twitter (@ashtonctparkrun) or on Facebook (Ashton Court parkrun) for the latest news and information. You can also find us on Instagram too, where we try to post something a little different from time to time. This week's full results and course records are here. Once again Rich Kenington chased after everyone and took photos of them on their way down the hill. You'll find the photos, together with our entire photo archive, by following this link (or this one if viewing on an iOS device). So, event number 402 has been and gone, and for the 16th time our first male finisher was running here for the first time. He is Jonathan Scott, and his time of 17:44 makes him the 115th fastest Ashton Court parkunner. That’s out of the 20,632 of us who’ve taken part here. This was Jonathan’s 42nd parkrun. In 2nd place was Jago Betts, running his 4th parkrun; in 3rd place was Leon Chevalier, running his 2nd parkrun and his 1st here; and in 4th place was Stuart Barlow, also running here for the 1st time, in what was his 21st parkrun. Jago’s previous best finish position was 10th, and he celebrated with a pb by 55 seconds, quite a leap when you’re running at Jago’s pace. Our first 3 female finishers’ family names all begin with the letter M. Laura Meech finished 1st for the 3rd time, Clare Meraz finished 2nd for the 2nd time, and Alex Moylett finished 3rd for the 2nd time. Oh, and Laura finished in 40th place, Clare in 61st, and Alex in 82nd, which is very neat! 2 of us achieved age grade scores above 80%. Carol O’Leary’s time of 24:47 gave her a score of 80.56%, and Pete Mountain’s 20:12 gave him a score of 80.21%. Pete then ran his customary 2nd lap, overtaking me as I approached the final bend for the 1st time. All 3 of us are in the 60-64 age category – although I’ll be moving up next month. More 4s and 2s. 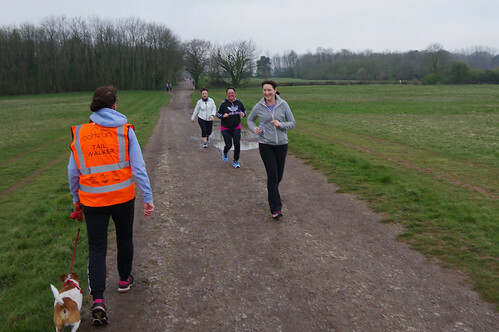 19 of us were running our 2nd parkrun, of whom 8 were running at AC for the 1st time. 13 of us were running our 4th parkrun, 3 being 1st time visitors to AC. 5 of us ran our 24th parkrun today, with a special mention for David Bassett, who finished our 402nd parkrun in 402nd place. And 2 of us ran our 42nd parkruns. There were 2 instances of people with the same name finishing 1 after the other. James Newcombe and James Saddler were in 38th and 39th positions respectively, and Michael Gorley and Michael Coupe finished in 220th and 222nd places, split only by an unknown runner. Of the 90 personal bests achieved, 3 of them were parkrunners running 2 seconds quicker than before, and 2 of them by parkrunners who were 4 seconds quicker than before. Congratulations to James Brownlie, Nathan Lomax-Cooke, Antonia Gooder, Terry Offer and Rob Adams, and commiserations to Martin Morgan, who missed out on a pb by 4 seconds, and to the 4 of us who equalled their pbs; James Saddler, Robert Phillips, Dan Gingell and Seth Giddings. One of the more eye-catching pbs belongs to Les McAllister. 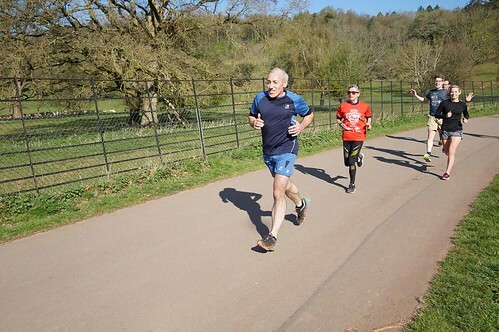 We don’t see Les every week, and today’s was his 70th parkrun here since our 86th event in January 2013. After that first visit, Les kept running faster for the next 8 events, achieving a pb each time and bringing his time down from 27:55 to 22:51. That last time was run in June 2013. And that was the only time Les beat 23 minutes, until last week, when he ran 22:45, and then today, when he finished in 22:33. Antonia Gooder has run here 65 times since April 2015, and has run 8 pbs. At our 277th event she ran 23:14, and equalled that time at our 300th parkrun. At our 307th parkrun, in June 2017, Antonia beat that time by 8 seconds, and then today, at last, ran faster again, this time by 2 seconds, to bring her pb down to 23:04. 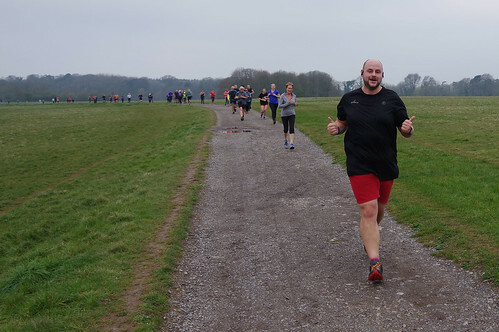 It’s always pleasing to write about someone who ran our first parkrun. Isabel Hoskin ran 6 of our first 7 parkruns and ran a pb in 4 of them. Since then Isabel’s run 49 more of our parkruns, with 3 more pbs. 1 was in October 2011, 1 was in January 2016 and today Isabel beat that previous best by 1 second, finishing in 25:28. Congratulations to Les, to Antonia and to Isabel, and each of the other 87 parkrunners with new personal bests today. I began my parkrun morning by briefing today’s first-timers. 86 of them at Ashton Court for the first time today, and 24 of them had never been to any parkrun before. 13 of our brand new parkrunners are female, 11 male. 1 is under 10, and 2 others under 18. The oldest is aged between 55 and 59 (which is young as far as I’m concerned), 4 are aged between 45 and 49, and 4 more between 35 and 39. Amongst these brave newcomers was the 1st person called Malwina to run here, the 2nd Jono, the 3rd Stella (who with the biggest barcode number is the morning’s newest parkrunner), the 3rd Alessandra and the 150th Rebecca! I hope you enjoyed your first experience of parkrun. You could hardly have chosen a better day for it, and of course I don’t think you could have found a better place. We’d all love to see you come back again soon. This brings me to the 2 x 2s, a 4 x 4 and even some 3 x 3s! These are our first-time visitors. I think pride of place should go to Stuart and Verena Eldon, who have now run 199 and 99 parkruns respectively. Their home is Tees Barrage parkrun in Stockton-on-Tees, which has an Infinity Bridge that doesn’t go on for ever! Wherever you run your 200th and 100th parkruns, I hope you have a fab morning. Other 2 x 2s included Robert Eagle and James Mochan from Yeovil Montacute parkrun. Ian Bird and Daniel Papura popped across from Swansea Bay parkrun, and Catherine and Graham Cutts are from Southend parkrun, at the opposite end of Wales and England. 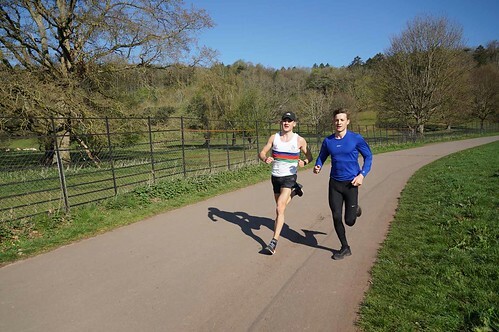 Jill Ellis and Holly Bagnall are at home at Hampstead Heath parkrun, and Catherine and William Ellis are from Brighton & Hove parkrun (and by the way, Catherine and William managed the very neat trick of finishing in 362nd and 326th places). Martin and Matthew Cowen’s home is Bracknell parkrun, and Ben and Joanna O’Connor’s is Alice Holt parkrun. Coming in 3 x 3 were Adli, Jamal and Pete Jenkins from Bramhall Park parkrun, and Scarlett and Tynan Parker and Faith Buck from Highbury Fields parkrun. And joining us in their 4 x 4 from Southwick Country parkrun were Ashleigh and Ben Whitbread, Douglas McCrorie and Katie Jones. The furthest from home today were Nick Galpine, from Lonehill parkrun in Johannesburg, and Sheila Baicoianu from Taman Pudu Ulu parkrun in Malaysia. Sheila was missing the climate back in Malaysia. There were many other visitors, from all sorts of places from Aylesbury to Wycombe Rye (which are only about 15 miles apart). I’m sorry I can’t mention you all. It was lovely to see you at Ashton Court, and please come back and see us again soon. 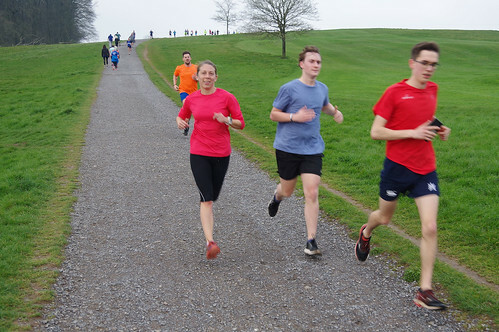 5 of our first-time visitors actually have Ashton Court parkrun as their home event but hadn’t run here before. This isn’t as unusual as it may seem, when the parkrunner concerned has only run a handful of events, as is the case with 3 of the 5, although I must mention Tash Taylor-Miller, whose 3 previous parkruns were all at Albert parkrun in Melbourne, which is one of my favourites and one that has been enjoyed by many of us from Ashton Court in the past. Not only that, but Tash is the first Tash to take part in our parkrun! 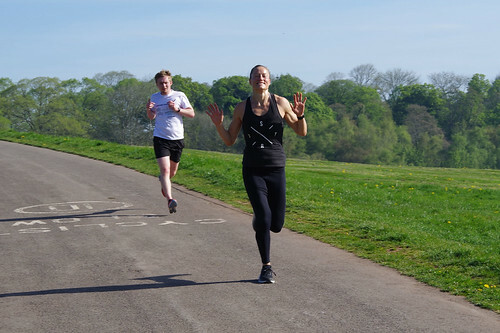 Two of the others who came home for the first time are William Sorflaten, who before today had run 50 parkruns at 9 different locations, and Emily Russell, who had run 20 parkruns at 6 other events. Welcome home, William, Emily, Tash, Daisy and Bharat. In keeping with our Lenten theme at Ashton Court of eating as little cake as possible (you did receive the memo didn't you?) there were just 2 milestones reached this morning. The first of the 2 happened quite early on, when the 6th placed parkrunner crossed the line. This was Edward Burke, and this was his 100th parkrun. Just over halfway down the field of runners, in 279th place, came Patrick Winstone, who had run his 50th parkrun. As all of these have been at Ashton Court we’ll see more of Patrick in a moment. Elsewhere in parkrun land, two of our lovely Chew Valley Snails completed their 100th parkruns. 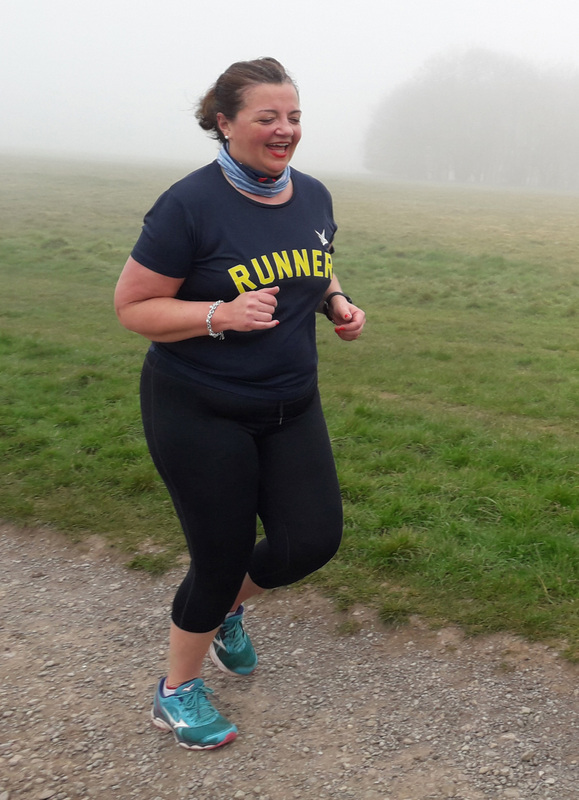 Caroline Harvey achieved this at Bushy parkrun – what a thrill! 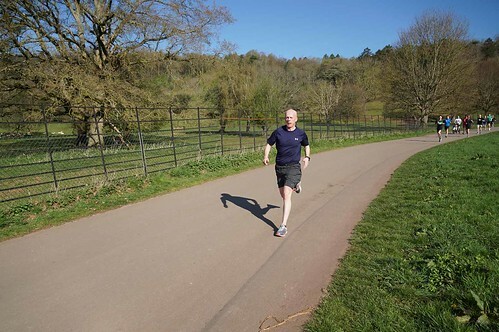 – and is definitely the first Ashton Court parkrunner to have run in any parkrun numbered 784! Caroline’s fellow Snail, Lindsey Cox, doesn’t actually call Ashton Court home, but she pops in now and again and has run with us 15 times. Lindsey completed her 100th event at Burnham and Highbridge parkrun. Something we like to do at Ashton Court is keep count of how often we’ve all run up and down our lovely hill (I say that now, but this morning I had a different adjective in mind!). 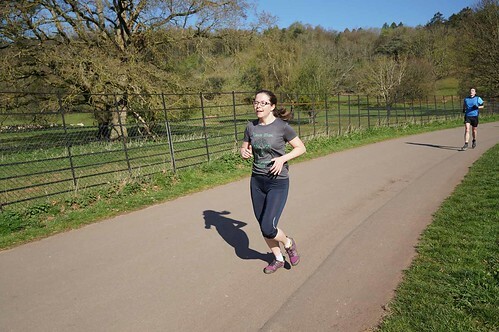 Pride of place must go to Wendy Price, who completed her 250th Ashton Court parkrun today, finishing in 348th place. Wendy is the 8th Ashton Courtier to have achieved this.Quite by chance, 50 places ahead of Wendy was Michael Smith, who today ran Ashton Court for the 200th time. 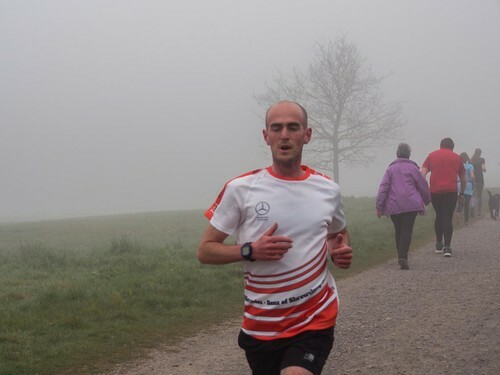 Michael’s the 28th parkrunner to have braved the hill 200 times. 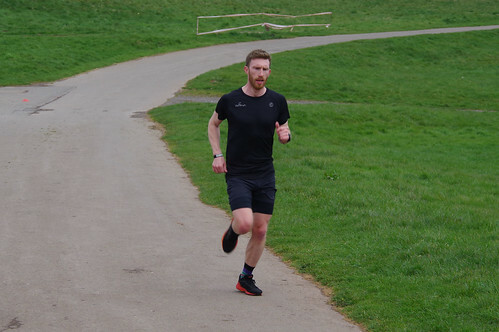 Steve Hawkins, who finished in 145th position, became the 64th parkrunner to have run here 150 times, and then Patrick Winstone (see above) in 279th place, and Kate Tuck in 472nd place, were the 363rd and 364th of us to have run here 50 times. These are all achievements to be proud of, well done one and all! Hopefully Caroline, Edward, Lindsey and Patrick will soon have their new parkrun club t-shirts ready to show them off in the summer sunshine! 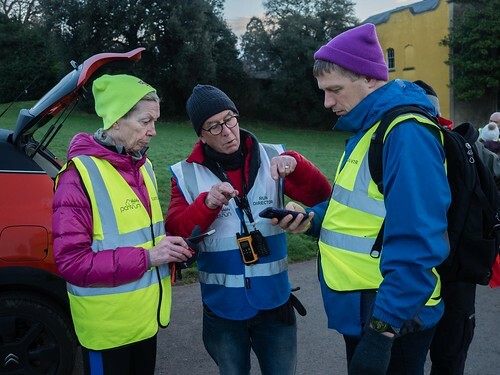 Before I close, on behalf of everyone who’s ever run at Ashton Court parkrun I'd like to echo our co-Event Director Maggie Salter’s words about Niall Hoskin, who has just stepped down from his role as co-ED. Niall has been with us since day 1, when he was the 42nd runner to darken our finish line. Since then he’s run with us a further 115 times, and 18 times at other parkruns. Neither total is as high as he’d like it to be, because of injury, but we all hope to see those numbers begin to climb once again soon. Also since our first event, Niall has carried out 437 volunteer roles at 219 different AC parkruns. He’s Run Directed 102 times, and we’ve read 69 of his run reports. Niall has carried out very nearly every role there is at parkrun, and having been shown as “Other” 11 times, probably some other roles that aren’t in the conventional list. 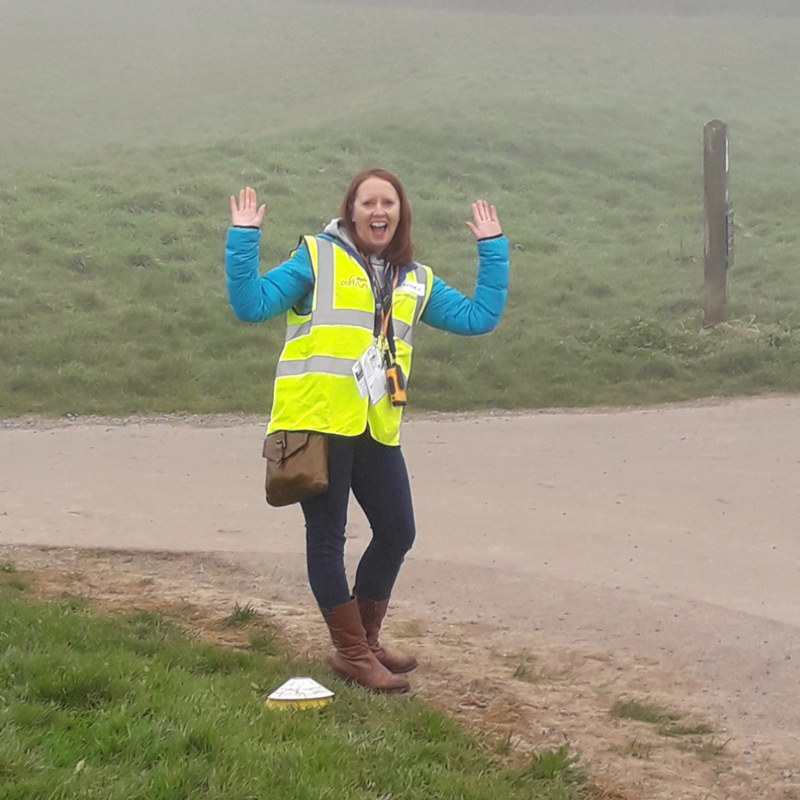 Niall took on the role of co-Event Director in April 2016, 151 parkruns ago. We’re not going to miss Niall as he’s still going to Run Direct and volunteer, but we will miss his wit and wisdom at our core team meetings. And that’s enough words and numbers from another fab Ashton Court parkrun. Have a great week and wherever you may be next Saturday morning, may your barcode go with you! Our photographer Sarah Jones took some beautiful photographs of us all in the sunshine. You'll find them, together with our entire photo archive, by following this link (or this one if viewing on an iOS device). The week after Ashton Court celebrated their 400th parkrun with a record turnout, we were blessed with a fantastic morning for running. The fog from the previous week had cleared, and Bristol looked stunning when descending the gravel track. 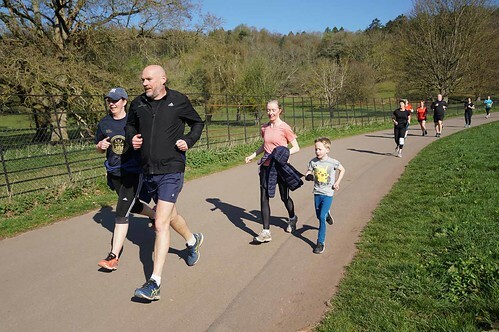 428 of us took advantage of this and ran, walked or crawled up and down the hill, 70 of whom were experiencing the joys of Ashton Court for the first time and 31 of these were brand new to parkrun. We hope to see you all again soon! Elsewhere in the country, the Boat Race took place this weekend. Ashton Court entered in to the spirit by having a cox at the helm, as John Cox was the first across the line in 18:27. The reserve cox, Dylan Cox had a storming run, reeling in a new PB of 22:27. The first female was also embarking on her very first parkrun, Olivia Pratt finished in 19:21. The best Age Grade score belongs to Shirley Clegg, her 25:19 time resulted in the remarkable score of 83.81%, which is difficult to fathom. The fastest buoy was Kieran Butler in 21:03 and the quickest gull was Beatrice Kinnear in 25:12. Oar inspiring work everybody! 31 volunteers joined Saturday’s crew to ensure everything was ship shape and Bristol fashion. They waved us around Ashton Court, kept us on an even keel, and there was not a stern face to be seen. Special mention must go to Liz Hill who captained the First Timers briefing and then went on to cruise to a new PB of 23:08 on her 138th time on the course. Dan Jones managed his first PB in two years of trying by breaking the 19 minute barrier by two seconds. 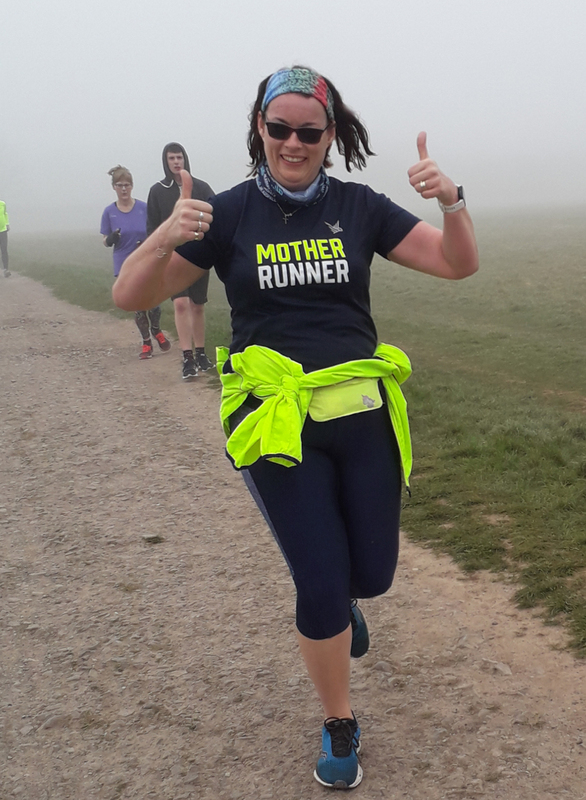 Ellen Ladds finished in 401st place in this our 401st parkrun and did so by taking half a minute of her previous best time, setting a new PB of 39:47. 60 other runners also had a swell day achieving PBs by clocking up their quickest thames at Ashton Court. Four amongst us are now eligible for new t-shirts. Congratulations to Genevieve Bussell who ran her 10th parkrun as a junior. Laura Cooper visited us for the first time, but in doing so she chalked up her 50th run. Naina Burgess and Sarah Baker-Patch rounded off the landmarks by each running for the 100th time. Hopefully they do knot have to wait long for their shirts. Wear them with pride. Rich Kenington chased after everyone and took photos of them on their way down the hill. You'll find the photos, together with our entire photo archive, by following this link (or this one if viewing on an iOS device). So . . 400 eh? A lot of parkruns. Ashton Court parkrun was the 60th parkrun to start in the UK (there’s over 560 now), beating Leamington parkrun and Roundhay parkrun (which both started on the same day) to number 60 by virtue of beginning with the letter “A”. Leamington have now staged 417 events, Roundhay 415, so we’re probably the 62nd parkrun to reach 400 events. One day I might check this. But not today. Around the world today there are 7 individual parkrunners who have run exactly 400 events, and 324 who have run 400 events or more. Some of them have even run at Ashton Court! 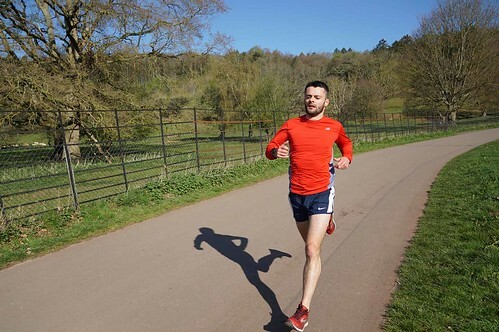 Daniel Morgan has run at Ashton Court parkrun more times than anybody else – we’ve seen him 347 times in his 370 parkruns. 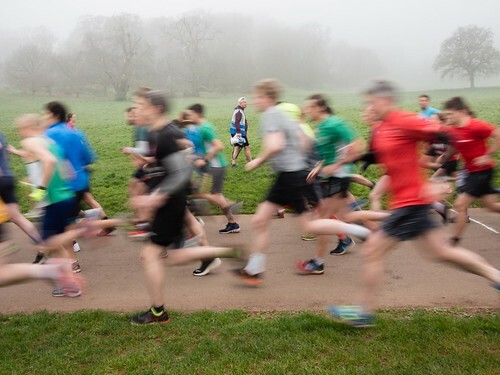 1,460 parkrunners have only ever come to Ashton Court, although over a third of those (529) only ever ran 1 parkrun, and another 213 ran just twice. 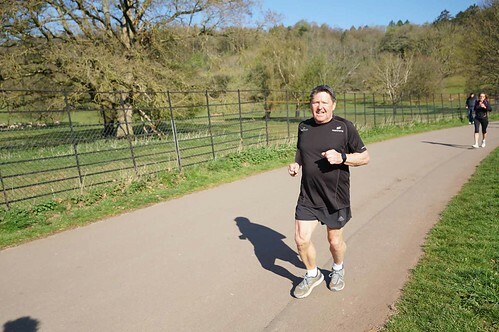 At the other end of the scale, 1 parkrunner who has only ever run at Ashton Court has participated in over half our events – that’s Desmond Jones, who we’ve now seen 204 times. 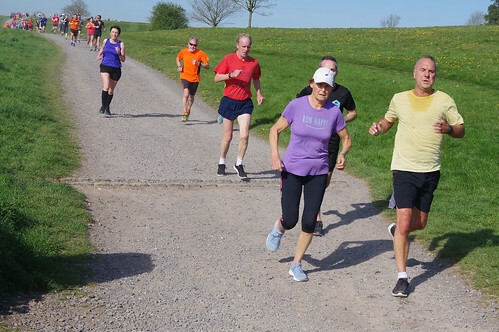 A further 6 parkrunners who’ve never run a parkrun anywhere else have all run with us on over 100 occasions – Nirpal Singh Gillar (170), Celia Johnstone (166), Richard Fennell (137), Anne Batanero (121), Peter Almond (118) and Steven Stone (110). We’ve had 400 or more finishers at Ashton Court 116 times, the 1st time being our 200th event in April 2015, when there were 426 of us. We’ve had exactly 400 finishers once, at our 318th event in August 2017. We know that 116 parkrunners have finished 400th here, and 12 of them were unknown. Of the remaining 104, 4 of us have finished 400th twice – Alex Rotas, Geoffrey Morgan, Naina Burgess and Sarah Jones. 43 of us have run at 3 of our 4 “hundred” events, but only 8 have run at each of our 100th, 200th, 300th and 400th parkruns – Alison Engledew, Charles McDowell, Christine Burren, Daniel Morgan, Desmond Jones, Eric Booth, Nigel Fletcher and Wendy Price. Here’s some Happy Returns - of the 136 parkrunners who either participated in, or volunteered at our 1st event, there were 15 at our 400th – Alexander Leitch (who ran his 200th parkrun), Alison Engledew, Christine Burren, David Capel, David Engledew, Fi Lang, Geoff Keogh, Gill Atwill, Isabel Hoskin, Lucas Redmond, Martin Riddiford, Niall Hoskin, Nigel Fletcher, Sally Marsh and Vanessa Redmond. 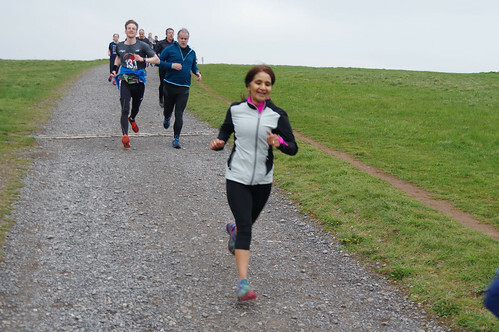 And more happy returns – Jessica Turner ran our 400th event, having last run here at our 128th. Will Ness had last run here at our 129th. 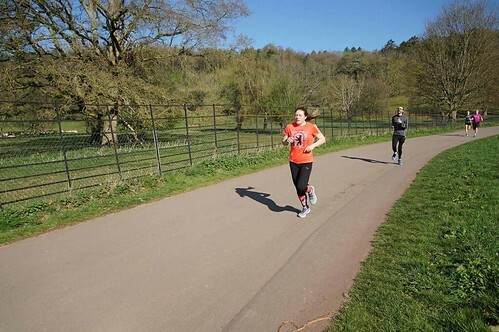 Our 400th 1st female finisher, Bridget White, hadn’t run at Ashton Court for 156 events. Iona Eastman returned after 131 events, and Lee Harding after 91. Jim Sheeran had missed the last 76 events, Hollie Harmer 63. In fact on Saturday there were 30 parkrunners who we hadn’t seen for a year or more. Not all of these parkrunners have Ashton Court as their home run, but that doesn’t matter. 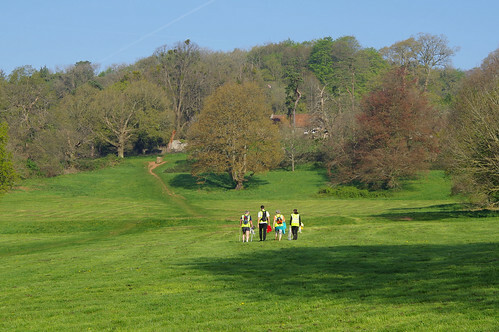 People keep returning to Ashton Court parkrun, and if it takes some longer than others to find their way back, maybe some take longer to forget about the hill than others? 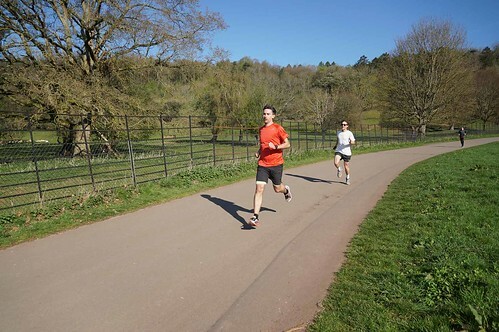 People keep returning, and new folk continue to find parkrun, and Ashton Court parkrun in particular. The number of local parkruns keeps rising, and still our attendances grow. 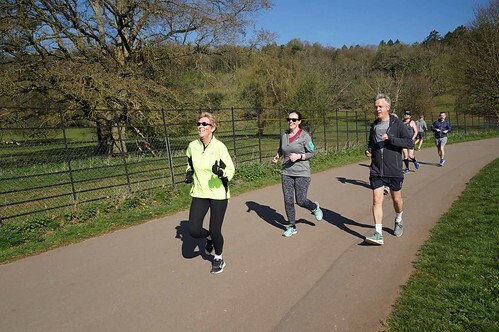 There are currently 23,062 parkrunners registered with Ashton Court parkrun, 16 of whom have registered in the last 2 days. It’s a wonderful thing. Towards the end of March 2021 we’ll see how many of us return for our 500th parkrun! In the meantime, we’ve got our 8th birthday party, on 27th April. Put it in your diary, and come back and wish us Many Happy Returns! Wow! 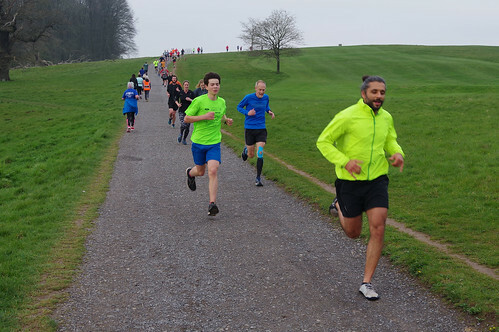 Ashton Court parkrun on Saturday 30th March 2019 was a momentous event. Not only did a record number of 678 runners set their alarms, force themselves out of bed on the foggiest of mornings, push themselves up the hill, fly back down again to be handed a small but significant piece of white plastic at the end of the funnel, but it was also our 400th event! 400 hi-viz mornings, 400 run briefings, 400 finish funnels erected and carefully packed away afterwards. Phew. Brian Lara is famously the only cricketer to have reached 400 runs in a Test Match, but I have it on good authority that none of those runs were anything like 5km, and there was no elevation at all, an achievement somewhat less impressive than our very own parkrun. 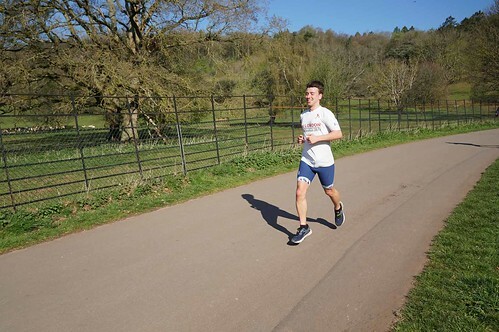 Of the 678 finishers on Saturday Daniel Morgan has run 347 of 400 parkruns at Ashton Court. Martin Riddiford has run at AC 277 times and Sally Marsh 269 times. Ewan Campbell celebrated his 100th run on the hill, and Jeremy Lowe and Jennifer Griggs their 50th. They must love those muddy puddles on the plateau! 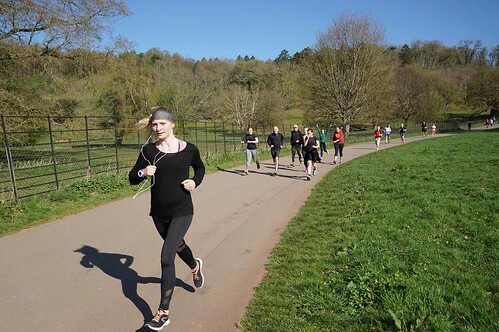 Ashton Court parkrun #400 was also the first ever parkrun takeover by This Mum Runs, providing 20 volunteers to fill the roster on this Mother’s Day weekend. 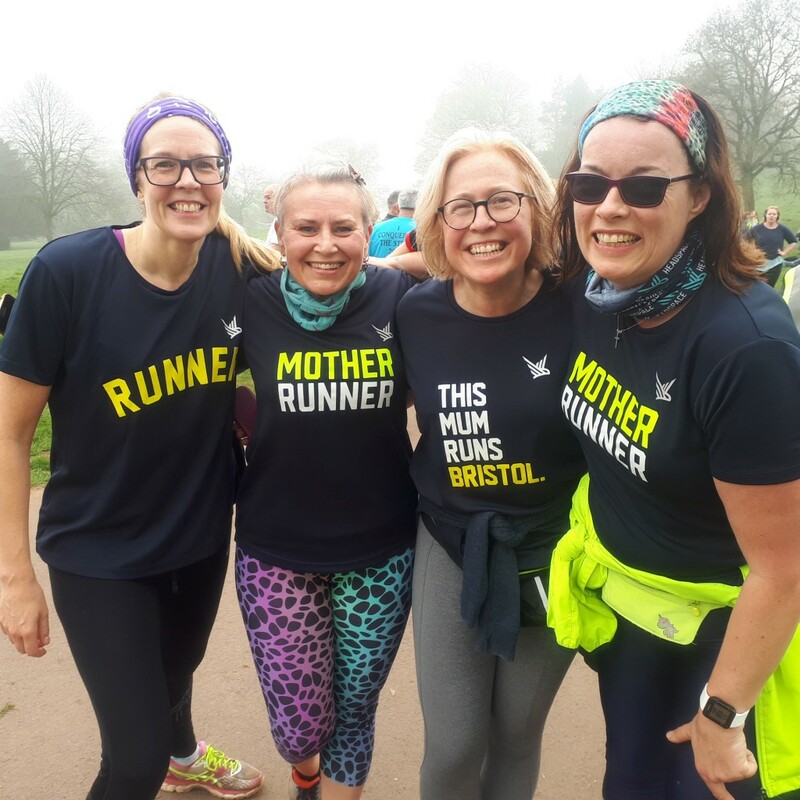 This Mum Runs (or TMR) was born in Bristol in 2014. Mel Bound, a Southville mum juggling a demanding job and 2 young children was struggling to find the motivation and confidence to exercise. She sent a Facebook request to find a running buddy. When Mel turned up at Greville Smyth Park she was gobsmacked to find 75 women had turned up to join her. There were clearly many, many ladies in the same boat. 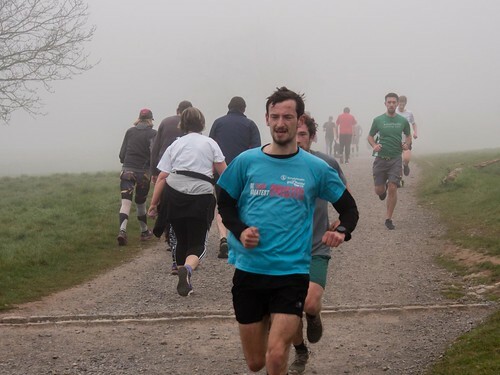 TMR now organises hundreds of free weekly social runs led by volunteers (many of whom were volunteering and marshalling at Ashton Court this weekend). 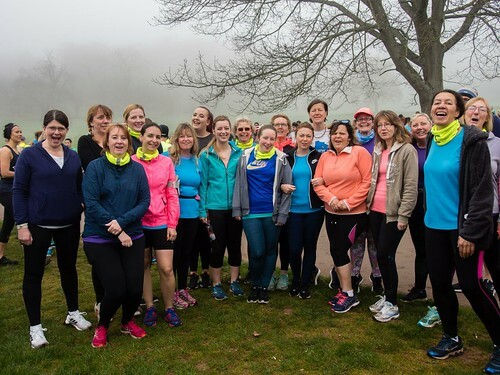 TMR is now a globally recognised community of more than 50,000 women connected by running. 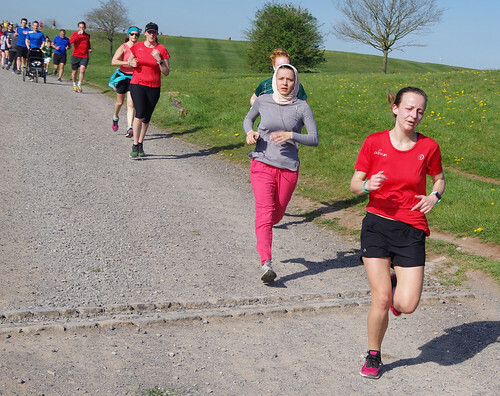 Social runs are organised weekly in Bristol, Bath, London and Cardiff. The focus is creating headspace for Mums who are juggling a million things everyday, empowering them to make a bit of time for themselves, connecting them to other Mums in the local area through running an providing heaps of support and encouragement. If you (or your nearest and dearest) would like to know more check out www.thismumruns.co.uk or find us on Facebook. During our record breaking morning 309 female and 295 male runners charged up the hill and back again. A very special mention goes to Avis Noott who finished in 644th position. Avis set a new course record for the VW80-84 category, clocking a very respectable time of 40:29. In fact Avis is the only VW80-84 to run at Ashton Court so she’s in a class of her own! Cat Horwood-Darby finished in 400th place at AC#400. Cat is an Ashton Court and This Mum Runs regular. 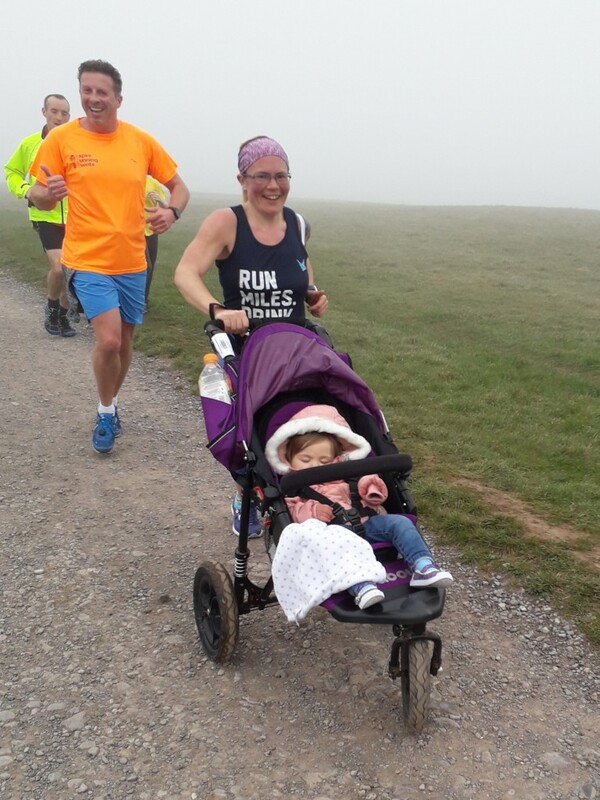 Cat may not have achieved a personal best but pushed her daughter to a mum-and-buggy PB breaking the 30 minute barrier for the first time. Well done, Cat! 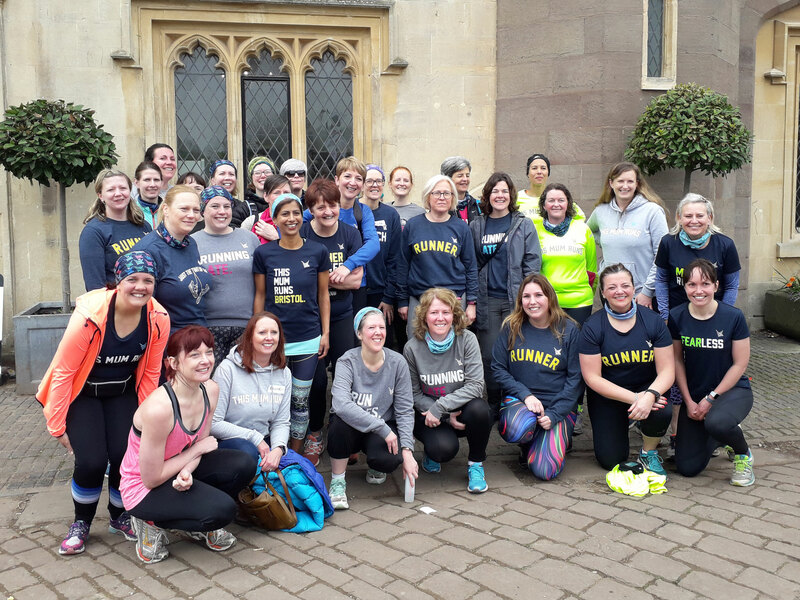 Very well done to the 65 runners participating in their very first parkrun, including the Chew Valley Snails Couch to 5k graduates. We also had 47 visitors from other parkruns. We were delighted to meet you and hope to see you all again soon. Big congratulations are due to our landmark runners. Jeremy Lowe, Emily Tanner and David Salmon, (along with Sean O’Boyle visiting from Westport parkrun, CoMayo) will soon be sporting new red t-shirts having each run their 50th parkrun. Taryn Taylor, one of our prolific juniors, clocked up her 150th and celebrated with delicious cake afterwards in the courtyard. Alexander Leitch ran his 200th with us on Saturday. Paul Hodges, Barry Mills and Dominic Murray (visiting from Shrewsbury parkrun) hit the super impressive milestone of 250 parkruns apiece. Well done to all of you, and the 160 runners achieving a personal best. Many of you have expressed concern about the runner taken ill during the event on Saturday. Our grateful thanks go to everyone who stopped to help. Please be assured he was able to recover at home on Saturday afternoon. Now to the gremlins. The combination of a record number of runners, internet failure and mischievous technology pixies conspired to produce a complicated assortment of issues for our results processing team. Undeterred, our Run Directors Rich Kenington and David Taylor toiled hard to sort the wheat from the chaff. Rich (a one-man enigma machine) spent much of the afternoon and evening deciphering the data into a coherent set of results. Thank you, Rich, for your ceaseless effort and commitment, you are a superstar! And a final word from our Mums. 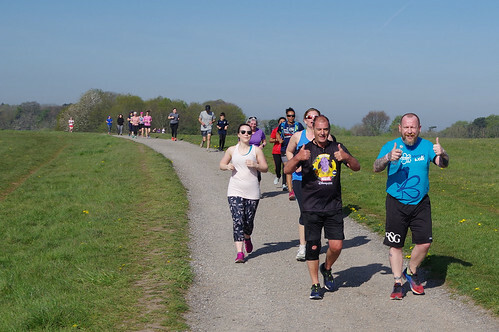 Many had never even been to a parkrun before, let alone marshalled/time-kept/scanned but they were all blown away by the friendliness, camaraderie and support of the AC running community. They loved the thanks and reassurance from everyone. And when a bunch of Mums compliment you on your manners you know you’re doing it right. Geoff Keogh (thanks Geoff) took some lovely photos of the morning's preliminaries, which you'll find, together with our entire photo archive, by following this link (or this one if viewing on an iOS device).